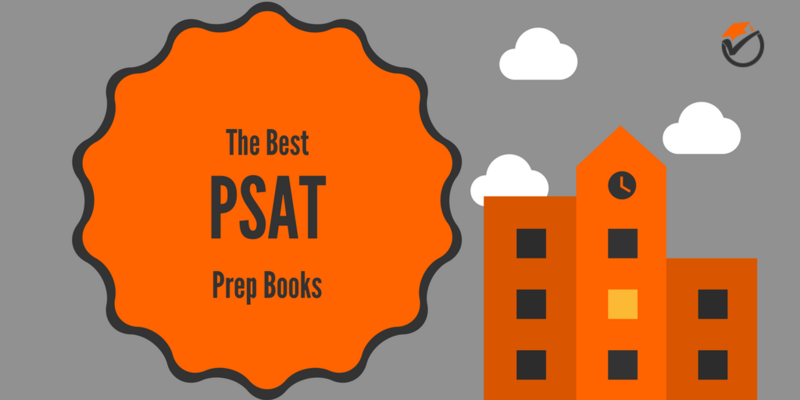 It is not easy trying to find the best PSAT prep book in your budget. With so many different books on the market, it is difficult to decide between each one. There are so many different options, companies and guides to choose between. The PSAT, Preliminary SAT/National Merit Scholarship Qualifying Test (PSAT/NMSQT), is a difficult exam and can have a big say on your future. 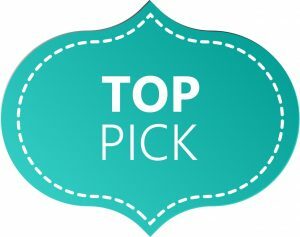 This is why I have created this post of the best PSAT prep books of 2017. The information below, researched over many hours, should make it quick and easy to decide which study guide is right for you. 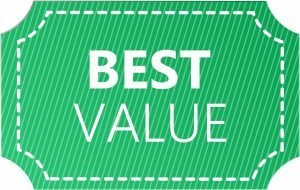 Barron's NEW PSAT is our best value and best overall prep book on our list of the top rated PSAT study guides. This study guide has a copious amount of practice tests and questions. This means that you'll get plenty of repetitions in to make sure that you are ready for anything that is thrown your way on exam day. Also, the concept review is very thorough and in-depth. You will learn everything that you need to know for the exam. This study guide leaves nothing out. Another positive about Barron's is that the practice questions are very exam like. The questions that you will be practicing with are very similar to the ones that will be on the test, making sure that you aren't surprised on exam day with problems that you're not familiar with. The one main weakness of Barron's is that the cumulative chapter tests are somewhat confusing at which portion of the topic you're answering for. This can make some of the end of chapter practice questions not very useful since you don't exactly know what are you answering the question for. 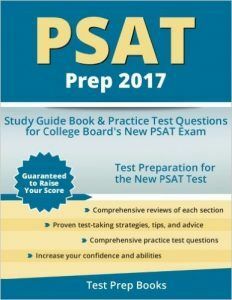 Since this study guide has a lot of strengths and very few flaws, it is ranked as our best overall and best value PSAT prep guide. 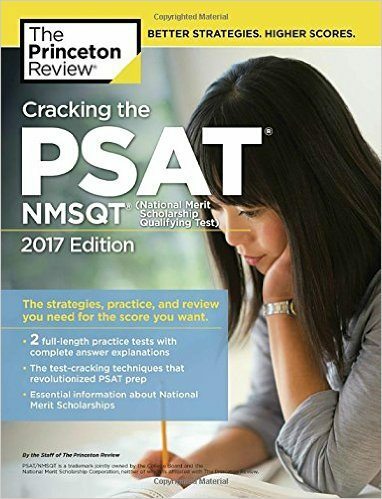 Kaplan PSAT/NMSQT is our 2nd best overall study guide on our list of the best preparation books. This study guide not only provides strategy and material review, it also provides tons of questions to practice with. The concept review is very comprehensive and in-depth and the answer explanations are very succinct and to the point. This saves you a lot of time doing question review since you learn things that you need to know and don't learn things that you don't need to know. The test overview makes you feel prepared and ready for exam day. Having high confidence for exam day really eases your nerves allows you to get a higher test score. One flaw of Kaplan's is that some of the questions are either misprinted or unclear. Misprinted questions or errors really make you waste time and make you scratch your head in confusion wondering why you got a question wrong when it was actually correct. Even with this flaw, Kaplan's is our number 2 best overall PSAT review book. Princeton Review’s Cracking the PSAT is our 3rd best overall study guide on our list of the top PSAT preparation guides. This study guide is built around saving you time (hopefully giving you enough time to go out for that late night Starbucks run). You will learn things that you need to know and don't learn things that you don't need to know. The study guide also gives very well-thought-out problem solving tactics for the exam. These tactics allow you to slip past the tricks that the test writers will throw at you on exam day, increasing in your score. Along with these problem solving tactics, there are also some advanced math strategies that will really help you on those difficult algebra problems. At only 480 pages, Princeton Review is shorter than the top two guides on our list. This means that this book is a little bit short on topic review, needing that extra length to really go in-depth on the topics. Although it is short on topic review, it makes up for it with the number of practice tests and sample problems included within. Princeton Review has our 3rd best overall PSAT study guide. 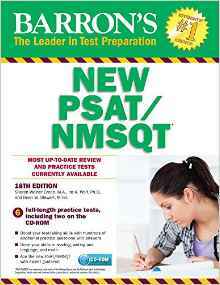 Barron's PSAT/NMSQT 1520 is our 4th best overall PSAT prep book and our top pick for high scorers. This book is geared towards those that want to qualify for high National Merit honors. This means that this preparation book has a lot more difficult practice questions and comprehensive review for the hard parts of the exam. The answer explanations for these problems are very in-depth. You will get to figure out why you got these hard questions wrong so you won’t be pulling your hair out in frustration because explanations are lacking. 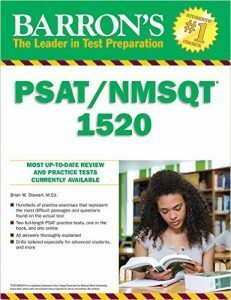 Barron's 1520 is the perfect book looking for those looking for a higher score on the exam to qualify for National Merit honors. The one weakness of Barron's 1520 is that it does not have in-depth review on every topic included in the exam. If you wish to get a more comprehensive review, you made need to purchase a supplemental review guide. Because of this, Barron's 1520 is our 4th best overall PSAT/NMSQT review book and our top pick for National Merit qualifiers. PSAT Prep 2017 is our 5th best overall study guide on our list of the top PSAT prep books. At only 176 pages, this review guide is very concise and to the point. Its short length really saves you a lot of time studying for the exam. You learn everything that you need to know and nothing that you don't need to know. This is really useful for exam day because another preparation guides may over prepare you and you may forget things since your brain is so crammed with information. Another positive about this study guide is that it has very good organization and workflow. This makes it very easy to speed through the book and study in a very efficient manner. Obviously with only 176 pages, this study guide cannot go very in-depth on concept review. 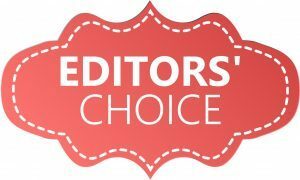 You may need to purchase a supplement review book if you're looking for something that is a lot more in-depth on the topics. 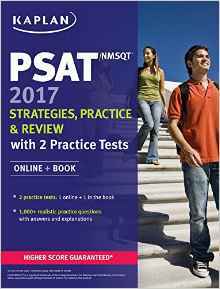 Because of its short length, PSAT Prep 2017 is our 5th best overall study guide on our list of the best overall PSAT/NMSQT preparation books. Buy Barron's if you are looking for the best overall study guide and do not care about getting a really high score. Most of the study guides are pretty low priced compared to other exam prep materials. This makes it really a no brainer to go after the best overall study guide, unless of course you are looking for a really high score. If that is the case then pick up Barron's 1520.